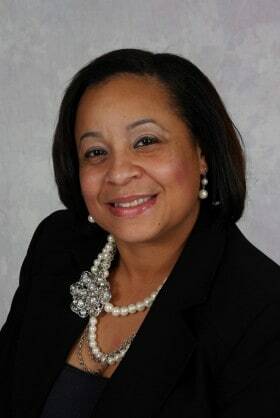 Joye Smith is currently the Principal/Founder of Premier Group Services, a Certified Public Accounting and Management Consulting firm since 2004. Always having a passion for problem solving and a desire to help others, Joye decided at a very early age that she wished to be an accountant. After graduating with an accounting degree from Loyola College in 1998, she desired to learn more about accounting business worldwide and obtained her Master’s Degree in International Business from the University of Baltimore in 2005. Joye participated in MyCity4Her‘s Q&A 4Her interview and told us what she feels is the best business advice she’s received, what she’d do differently in business and more. Read on for the complete interview! Did you ever imagine yourself achieving what you have? Yes. I always wanted to be a business owner and as successful as I’ve been I still feel there is much more to be done. What in hindsight would you say you underestimated about your industry or business and why? I underestimated the amount of marketing and networking that needed to be done. You go into business thinking you have a great product and it should help sell itself, you don’t realize the amount of marketing and networking that it entails. What is the best business related advice you have ever been given? Make a plan and have concrete goals so that you know where you’re going but be willing to make adjustments along the way. I like helping people and also helping them reach their financial and business goals. Everyone is different and whether it’s an individual or a company I learn something new every time. What if you knew then what you know now – would you do differently and why? I would have created an advisory board. An advisory board would have given the business and I both a different prospective before decisions were made that affected the business. When you’re not working how you like to spend your time? I like spending my time with my family. Success is enjoying what you do and being content with yourself while being financially stable. If you had to share one final thought with our audience of thousands of women in business – what would it be? Know what you want and go after it relentlessly until you achieve it, and make sure you have a good support system. Is Your Brand Super Bowl Bound?